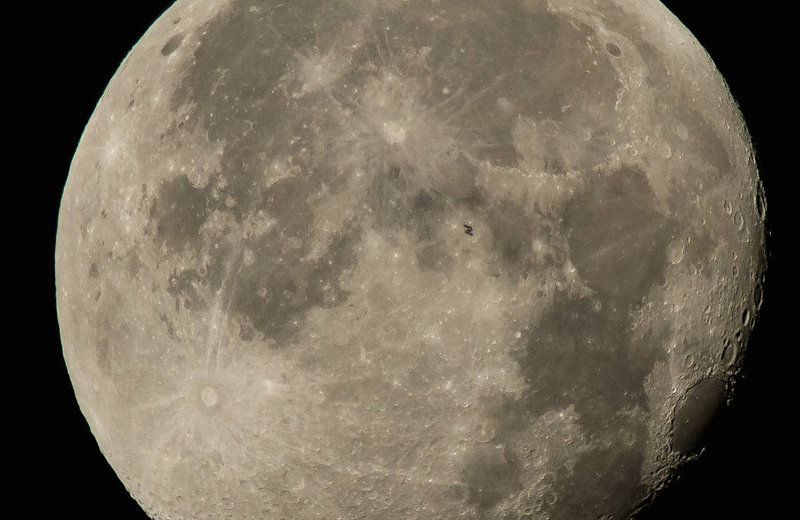 Can You Spot the International Space Station As It Crosses the Moon? That tiny speck in the middle of this photo is the International Space Station. The photo was taken earlier today, August 2nd, as the ISS passed the moon going roughly five miles per second. Contact the author at katharine@io9.com.